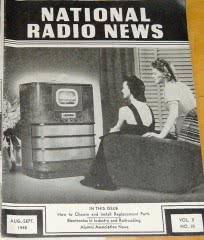 I found an interesting tube-related article in the Dec-1955-Jan-1956 issue of NATIONAL RADIO-TV NEWS. 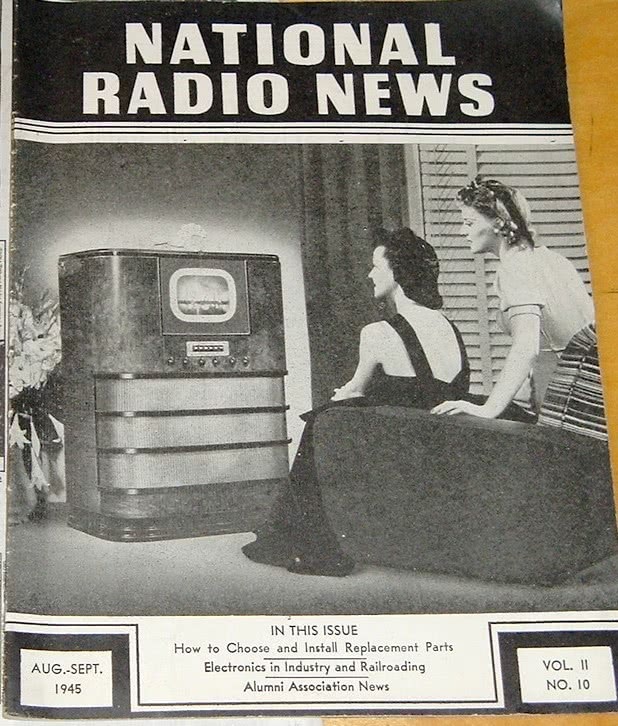 The article exposed a supply-chain problem during the 1950s where unscrupulous vendors would buy “pull-outs” (duds or near-end-of-life tubes) from repair shops, then manipulate the tubes in a manner that would make them look reasonably new. The tubes were then resold to distributors and repair shops, who assumed that they were buying “factory seconds” or possibly even fresh inventory. The defect rate was enormous. The first stealth order of 21 tubes showed 14 tubes to be defective; the second stealth order had 17 defects of 20 tubes purchased. No doubt that some of these gems are still floating around today. While the article seems to suggest that many of the tubes were resold with their original brand name intact, I suspect that most of the “off-brand” or “private label” tubes were using the same unseemly source (pull-outs) for their inventory. When I test vintage tubes labeled as “Standard Brand”, “Rad-Tel”, “Atomic”, etc…, the defect rate is far too high (in my opinion) for them to have been “factory seconds” or “quality used”. That doesn’t mean that all of them are duds, of course, but that they need to be carefully checked before selling or using. [ Here is a PDF ] of the article that I scanned & cleaned up with Photoshop for good readability. Recently my longtime trusted Eico 1030 regulated high voltage DC power supply succumbed to a catastrophic failure — a shorted transformer winding. The power transformer has a separate winding that supplies screen voltage to the 6L6 pass tubes. This is a half-wave circuit that was rectified by one original 1N4006 silicon diode. Unfortunately, this old diode shorted and took the transformer winding with it, thereby ruining the transformer. This transformer failure caused me to consider how unprotected most transformers are in vintage gear. In many cases, a shorted cheap component (such as diode or filter capacitor) can ruin a very expensive or sentimental piece of equipment. Typically, the only circuit protection that you see on most vintage gear is a line fuse, which does a poor job of protecting the transformer’s secondary windings, especially if the fuse is up-rated to accommodate inrush current at startup. In rebuilding my backup Eico 1030, I took several steps that may help to protect it’s transformer. I say “may” because fuses & circuit protection often do not blow on a consistent basis, so these steps should help but are not guaranteed. I installed an ICL to limit inrush current at power-on. 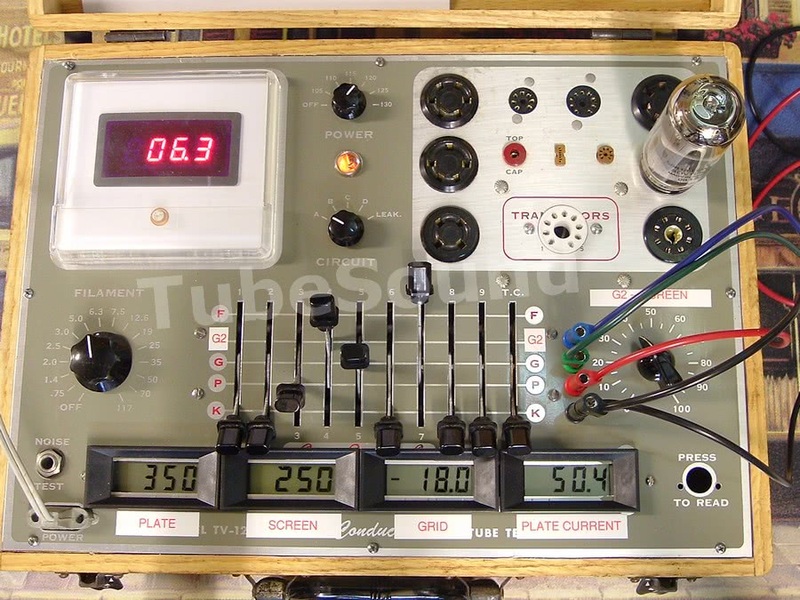 I replaced the rectifier tubes with fresh silicon ultra-fast diodes because I wanted to reduce the heat inside the cabinet, promote stability, and reduce transformer load (2.26A saved by eliminating the rectifier tube heaters). One of the cheapest circuit insurance you can buy is to place diodes in series. If one diode shorts, you still have another one to continue proper operation of the circuit. Likewise, series diodes sum their voltage ratings, so the circuit is more robust anyway. For the price of a quality ultrafast diode from a reputable supplier — approx 20-cents each for a Fairchild UF4007 (1A, 1000v) — this protection is a bargain. In each 5AR4 plate circuit, I used two UF4007 in series, or a total of four diodes in this circuit. The bias supply (6X4) is a half-wave circuit, so I used two in series. Likewise, I used two UF4007 in series in the screen supply, which was the winding that failed in my old power supply. In addition to stacking the diodes, I installed fuses for each secondary winding. First, I fused the center-tap of the HV 440-0-440 winding with a 200ma fuse (200ma-250ma fuse should be reasonable in this circuit). I fused the screen winding with a 62ma slo-blo fuse, which was the smallest that I had available. I fused both 6.3vac front panel windings with 3A slo-blo fuses, which will accommodate the occasional overload and still remain within design parameters. I have experimented with using PTC’s (resettable fuses) in each circuit, but PTC’s have three problems that make them less suitable for this type of circuit protection : (1) they do not trip with any operating current certainty (ex: a 150ma PTC may trip at 200ma or 600ma, you just have no way of knowing), (2) they have a base resistance that may affect circuit operation, and the resistance increases as the PTC heats and approaches the upper range of its hold current design, (3) they trip slowly because the trip is based upon the PTC heating up. Due to these characteristics, it would seem as though PTC’s would not have much practical use in protecting audio transformers. In this power supply, though, I did leave a 40ma PTC in the screen supply, which helped to mitigate inrush current and possibly added some transformer protection. Finally, I decided to add protection for the current meter, which would always slam backwards if a connected load (such as a capacitor) discharged when the voltage switch was toggled off. I replaced the SPST switch with a DPDT switch. The first section of the DPDT switch replaced the original in the same manner. I added a protection diode in series with the current meter to prevent current from reversing thru the current meter. The second section of the DPDT switch is wired to dump the (+) terminal to ground through a 500 ohm high wattage wirewound resistor, which assures that any load attached to the power supply (such as a capacitor that was being reformed) is safely discharged as soon as the voltage switch is toggled off. ©2011, Bob Putnak. 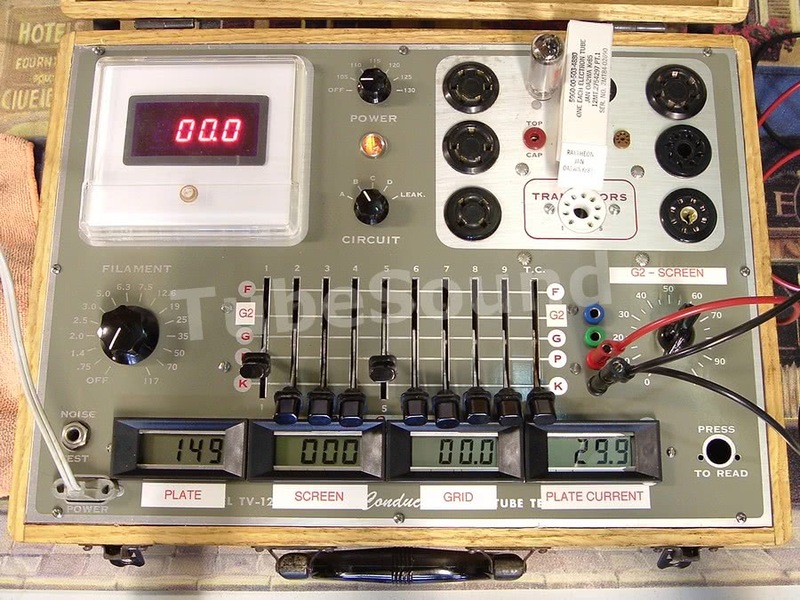 This post examines the performance (directly related to the input impedance) of low-cost meters; specifically, I explore a common multipurpose Colluck PM-128E DPM (digital panel meter) and a bargain-priced Cen-Tech #98025 multimeter. Limitations in the design of these low-cost meters can severely affect measurement accuracy. First of all, I prove that the input impedance of the PM-128E is 1-megohm, not the 100-megohms or 10-megohms that is specified by the manufacturer and most vendors that sell this DPM. Second, I demonstrate that the input impedance of the Cen-Tech #98025 multimeter is also 1-megohm. The conclusion is that either meter will not accurately measure high-impedance circuits, and both perform poorly at measuring low AC voltages. They can be suitable for other types of measurements, though. First a little background –“Input Impedance” as it pertains to a meter — is the load that the meter places upon the circuit being measured. Ideally, a perfect meter would have no loading effect, but all meters have some loading effect on the circuit they are measuring. For example, early analog VOM’s had an input impedance of 1000 ohms per volt, which meant that when the meter was set on the 500v range, the input impedance was 500k ohms. 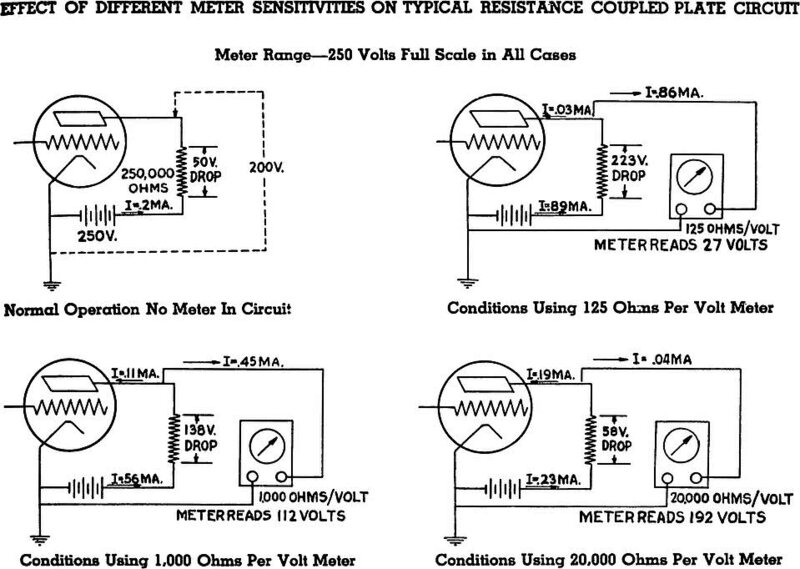 This input impedance (sometimes called ‘meter sensitivity’) is the exact same as placing a 500k resistor across the circuit. Newer analog VOM’s had an input impedance of 20,000 ohms per volt; therefore using our 500v range as the example, the 20,000 ohms/v meter would only load the circuit at 10-megohms. 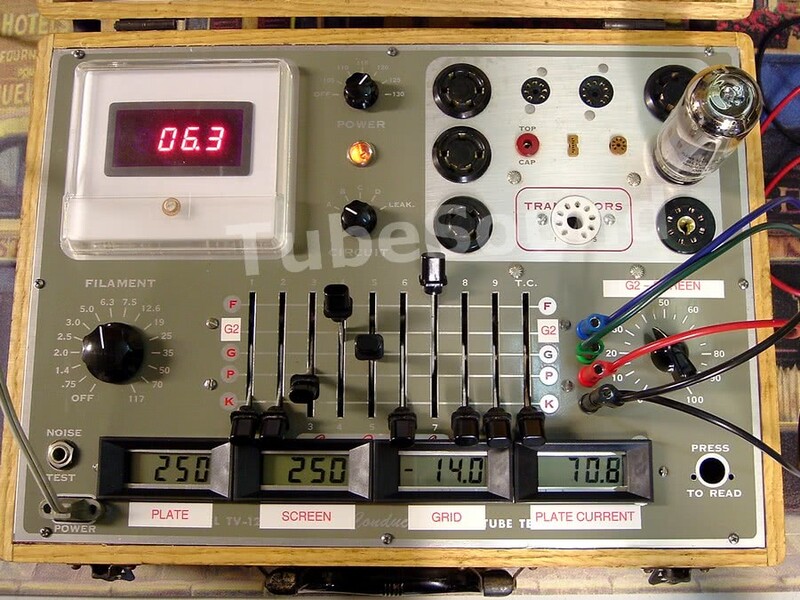 VTVM’s (vacuum-tube voltmeters) and TVM’s (transistorized voltmeters) commonly had a fixed loading effect of 11-megohms or 22-megohms, regardless of measurement range. Most quality modern DMM (digital multimeters) have a fixed input impedance between 10-megohms to 11-megohm. The higher the input impedance resistance, the more accurate the measurement. Input impedance is a serious issue when measuring high impedance circuits.